Kiribati might be one of the least visited countries on earth, and sadly the first to disappear if global warming isn’t stopped, but it is also one of the most beautiful and interesting countries in the region. When you travel to Kiribati you will certainly be one of the few tourists there, but you will be richly rewarded with some of the best scenery on earth, as well as a country and region of extreme historical importance. We work with the best guides in Kiribati, who are ready and waiting to show you around Tarawa and beyond. Our guides are experts in both local culture, and Tarawa’s World War 2 history, particularly regarding the battle of Tarawa. There are a number of hotels to fit your budget when you travel to Tarawa and further into Kiribati, with YPT able to arrange discounts for our customers. We can arrange WW2 tours with our local guide in Tarawa showing you around the many relics left over from the conflict. There are a number of islands within boating distance of Tarawa that we can arrange day, or overnight trips to when you visit Tarawa. Young Pioneer Tours currently offer two group tours a year to Kiribati, but are in the process of adding more! Click here to see our Summer Least Visited Countries Tour or here to see our annual New Year’s Least Visited Countries Tour. Please get in contact with us for a full range of itineraries and pricing options! 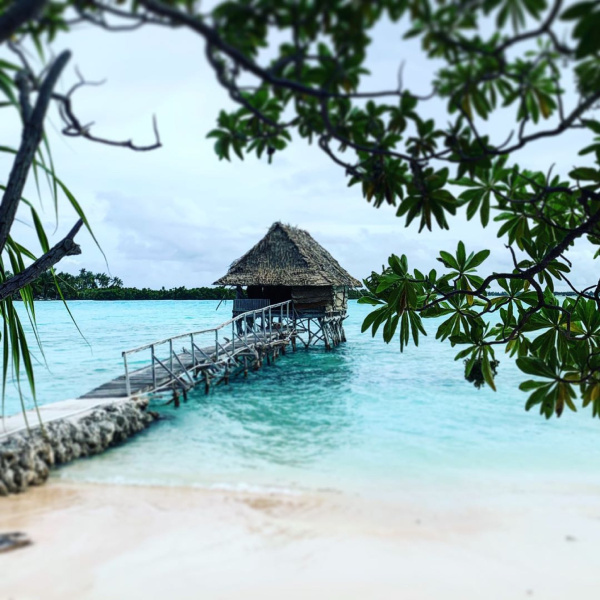 Read our comprehensive guide to travel in Kiribati here or for a list of our personal top 10 things to do on this island click here.